Fall is one of the most popular times to plan a wedding. If you have ever decided to say your vows in this romantic season, read on. We’ve got some fall wedding color palette choices for you – all for good reasons! A glamorous wedding theme has never been as easy as in fall. Thanks to multiple shades of pumpkin orange, old gold, bronze and sage green which create the opulent metallic look. 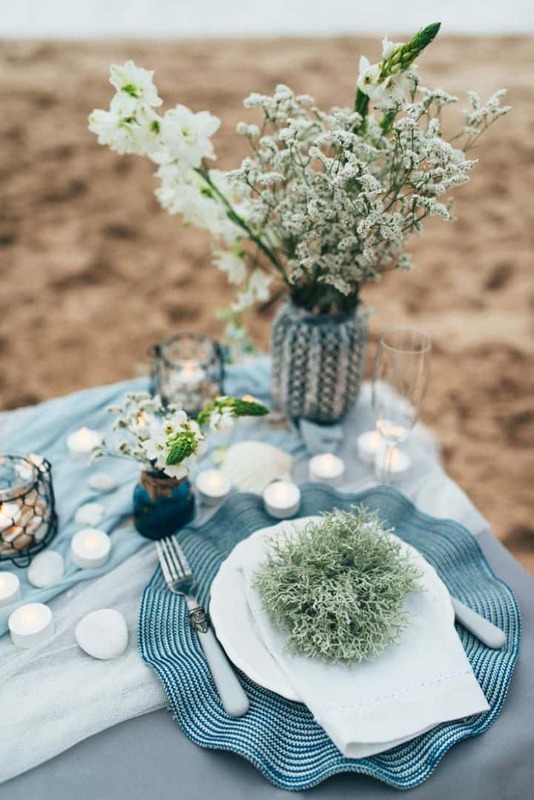 Wooden tables and chairs can look pretty amazing if paired with golden tablecloths and sage-bronze bouquets. You can go a bit further and enrich your wedding wardrobe with black nicely paired with pumpkin orange and yellow. This way you’ll have great extravagant and vintage seasonal look with a romantic note. 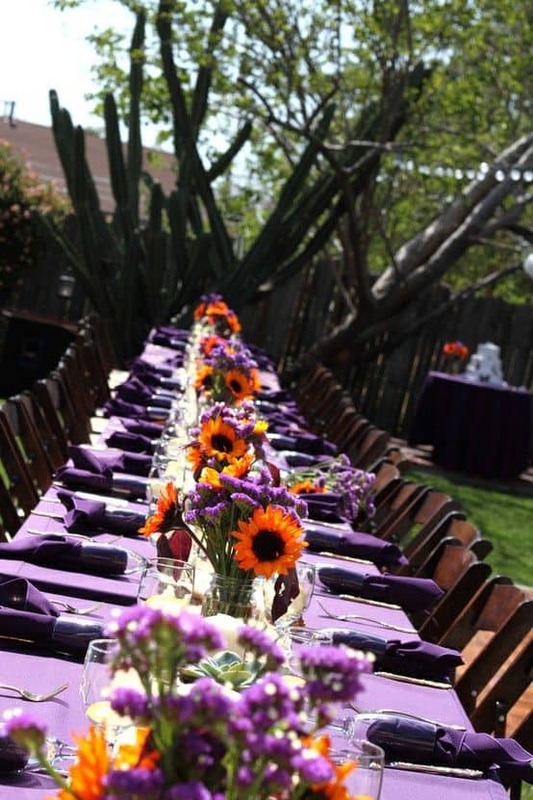 One of the indispensable colors of any fall wedding color palette is purple in all its hues. The most beautiful and romantic ones are for sure lavender shades, which can vary from pastel hues to gentle and sophisticated faded nuances. You can nicely pair it with green, white and orange. For a fresh, romantic and a bit fancy look, purple and lavender are the colors to go for at almost any time. Those who love the vintage style will probably find wedding planning easier during the fall season because of endless pastel nuances readily available. The queen of pastel colors is emerald. It looks opulent, vintage and romantic. If you choose emerald to be the prevailing color on your wedding, feel free to combine it with ivory, powder pink, and white. In case you want a bolder decor, pair it with pumpkin orange, but make sure not to include multiple matte colors as you may get a cluttered look. Emerald can also look charming if combined with natural nuances of wood. 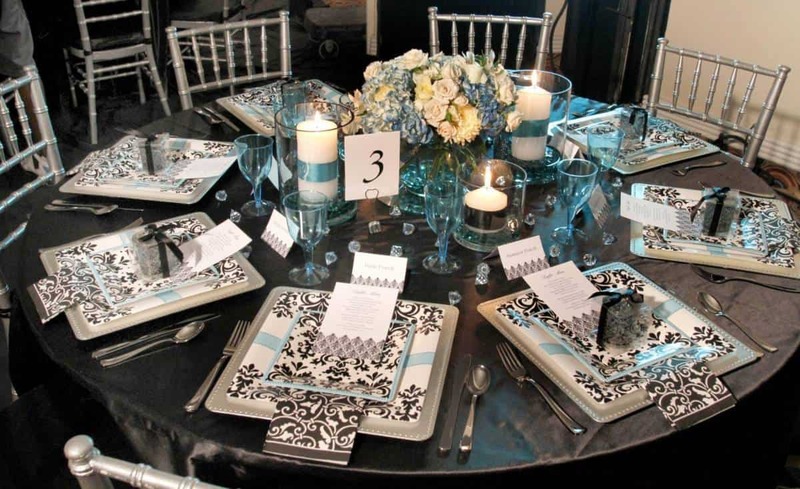 You can add it as tablecloths or chair decorations over wooden dining furniture. Still indecisive about the color palette for your fall wedding? Think about a basket full of autumn fruits! The gorgeous nuances of orange, berry shades, wine red, dark yellow and pastel pink can bring out the real spirit of fall into your ceremony. The best thing about these fall wedding colors is that you can fairly pair them with each other as well as with white backdrops. 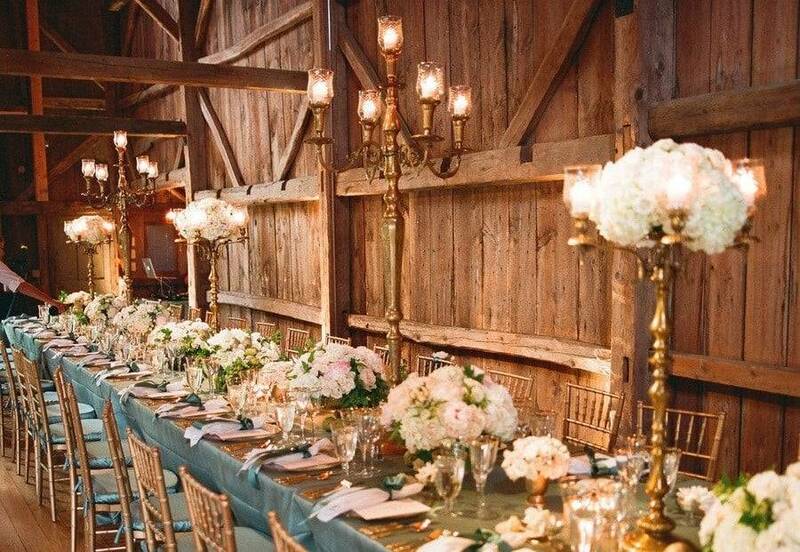 For a royal rustic appearance, add some more old gold details. Shiny yellow, brown, ivory and bright orange are other beautiful autumn colors. 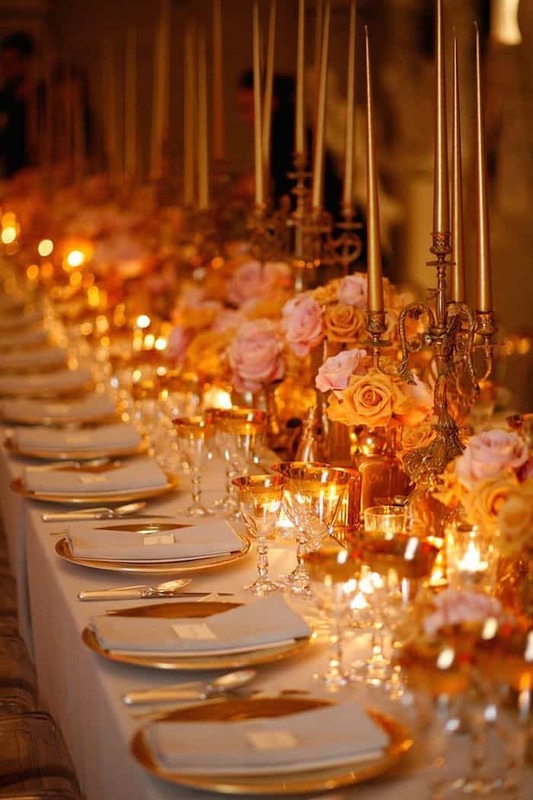 These gold nuances can be incorporated in almost every wedding decor, from dining sets, vases, flowers to candlesticks and ceiling elements. You simply can’t go wrong with gold palettes if you seek for elegance and sparkle, but in case you want to make a statement, opt for crimson or sage elements which will make your wedding venue extravagant and unique. The shades of gray, navy, brown and ivory are neutral nuances of fall. 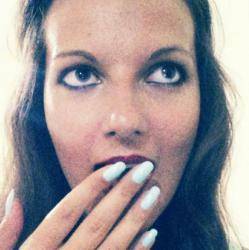 They might look monotonous. However, when paired well with white, orange, red and purple, these colors can create a gorgeous vintage scenery. 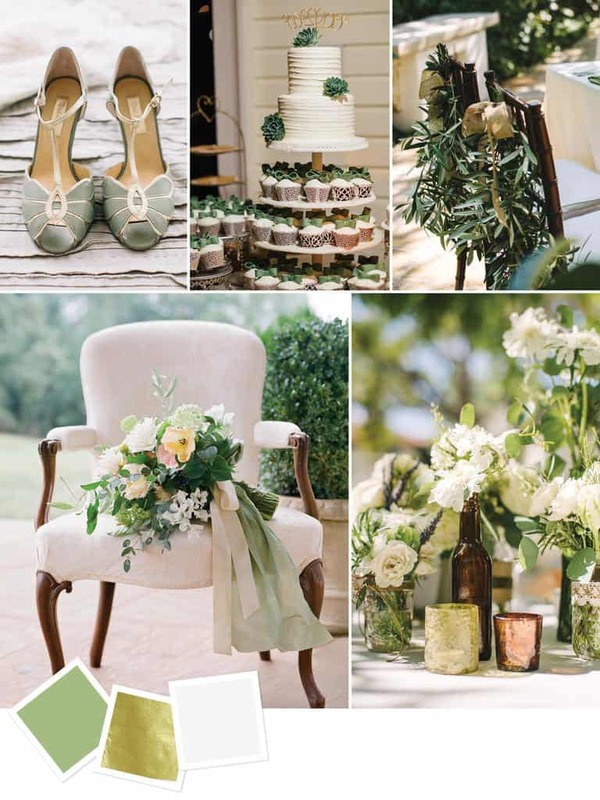 Although a neutral combo, this fall wedding color palette can’t get underestimated. It is so subtle. Each of these colors can pair well with any contrasting shade ranging from gold to lavender and emerald. 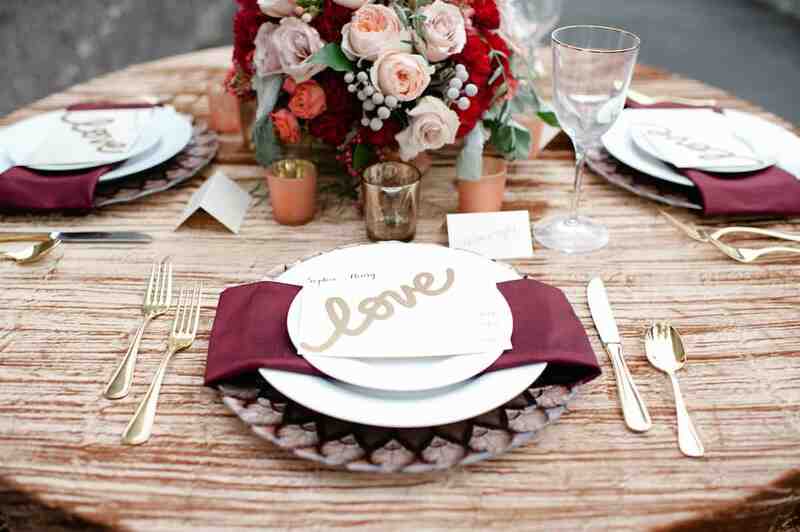 The beautiful trinity of brown, beige and copper is an excellent choice for contemporary weddings, with rustic decor. Here’s another one from Leah and Kenny’s wedding! Pantone’s official color for 2015, Marsala shades exude the opulence of red-brown combo and is a great choice for fall weddings. The rich qualities of Marsala make for an elegant, grounded statement color when used on its own or as a strong accent to many other colors. Apart from bright flower bouquets and dining set decor, peach and burgundy shades can be incorporated nicely with almost all decorative elements. 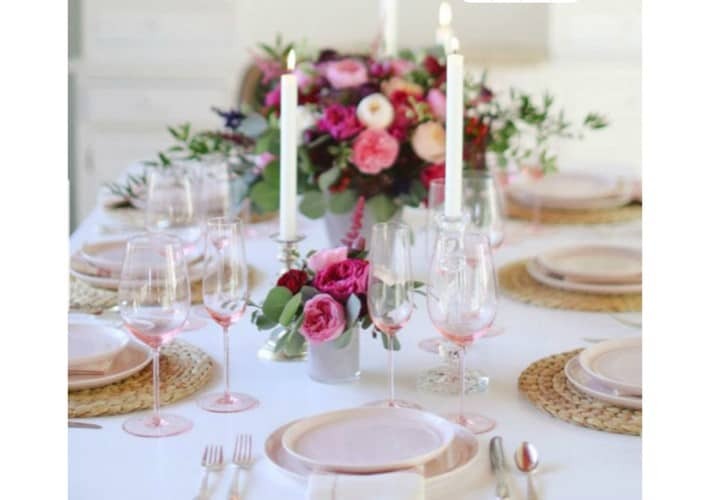 Take peach as a a subtle and romantic base and then make centerpieces by matching burgundy, red, white and even mint green. These colors bring forth urban elegance and royal opulence. Although bold as individual colors, this combination can create a pleasant vibe. If you dare to be entirely different, go for small fuchsia details, and you’ll get some utterly unique wedding decorations. A balancer of both heart and emotion, this color palette truly enhances the dominance of your principal pastels. 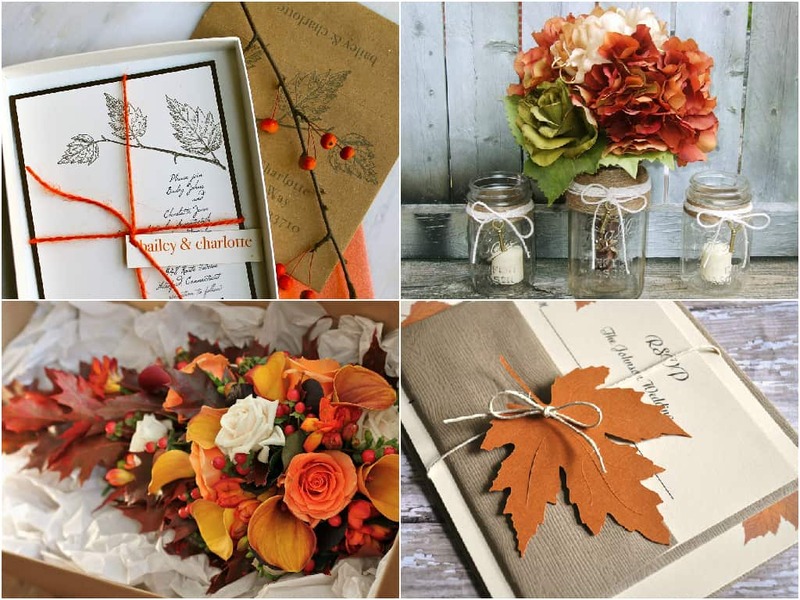 A stimulating base for your fall-inspired wedding plans. The lime color enriches the vibrant colors of your accented motif. Show how vibrant your red sandals match the hues of sky and cork. This may not be your first option for a color combination, but this is truly one striking theme. These intermediate colors are fun to play with. See how the floral carnation accentuates the simple tones of the wood and pearl in this pretty unique concept for your wedding. See how the pigments blend in the shades of your background. 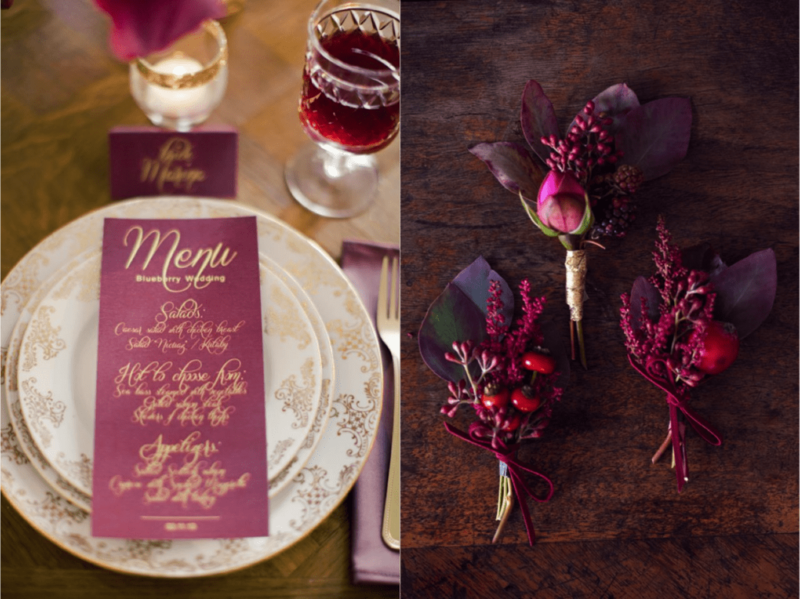 Let your eyes drool in this intriguingly satisfying fall wedding color combination. So, there you go! Some of the best color combinations for fall weddings that we hope will help you envision the colors of your own wedding day. Tell us your fall wedding color palette in the comments below!